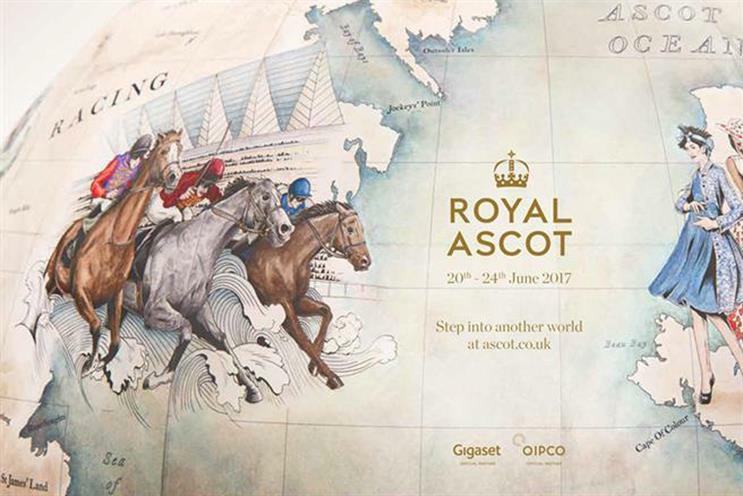 Peter Bellerby and his team of craftspeople created a globe decorated with hand-painted illustrations that told the tale of Royal Ascot's heritage, as part of a new campaign by Antidote. How long did it take you to produce the globe? We spent a few weeks adjusting the images and made tests to check that the artwork fell correctly before the globe itself was made. Seven days of painting were required before it was sealed with varnish. 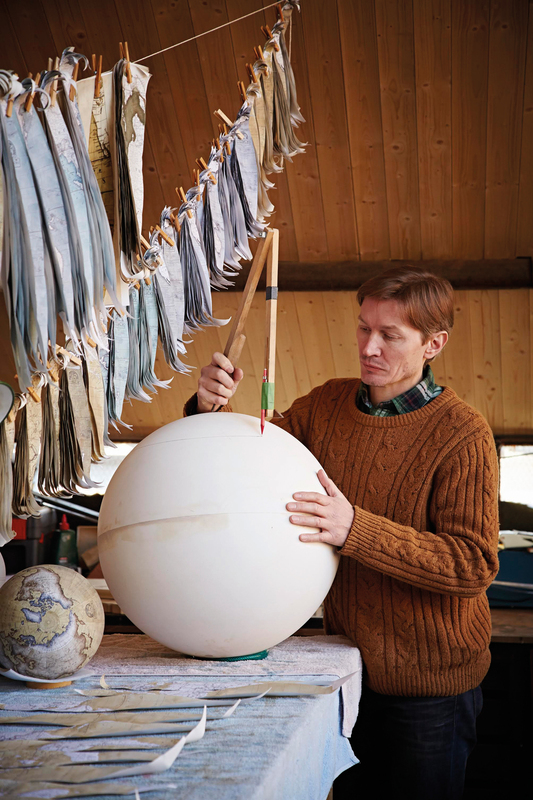 How did you get into globe-making? The company started when a little project got way out of hand. I had only intended to make one globe for my father and one for myself. Two years later, my house and car were sold and I had thrown away a couple of hundred trial spheres. There was a lot of stubbornness, and the company grew out of the passion and determination to create a beautiful product. First, you need a perfect sphere using two half-moulds. Once the sphere is assembled, it needs to be weighted to rotate perfectly. Next, we edit our map, which is then printed and cut by hand into precise oval shapes called gores. The gores are painted with several layers of watercolour. When they are dry, they can be attached to the globe. More layers and watercolour detail are then added before the globe is sealed and finally placed into its base. What’s the most challenging thing about making a globe? Wetting and stretching a piece of paper across a sphere without ripping, rippling or tearing it. Even as you place the last gore, you can easily cause damage. With every gore placed, you need to measure and calculate to make sure you are placing and sizing right. If you don’t measure and remeasure constantly, your results will be off. How has the rise of the internet/GPS affected your business? I see no crossover. I see most technology as a tool to help complete a task. Some globes are works of art but most are there to do a job. How regularly do you have to change your maps? We employ a full-time cartographer and she changes things as they happen. Changes are more frequent than you may think. What would surprise people about globes? The Pacific Ocean is surprisingly large. From one angle, you can barely see any land.